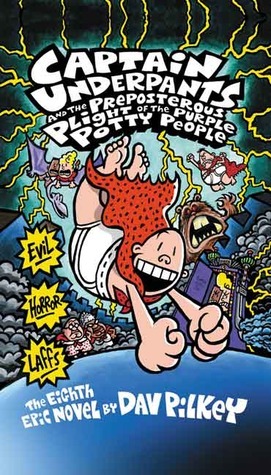 Dav Pilkey's eighth epic novel promises evil, horror, and "laffs," and delivers on all three. In this rowdy episode, George and Harold take a wrong turn somewhere and wind up in a surrealistic alternate reality where everything defies expectation. As they try to adjust to a realm where teachers are nice and cafeteria food is good, our heroes encounter evil versions of themselves. Unless our dynamic duo can stop them, these diabolical twins plan to destroy their hometown.